We all know that long distance relationships are tricky. 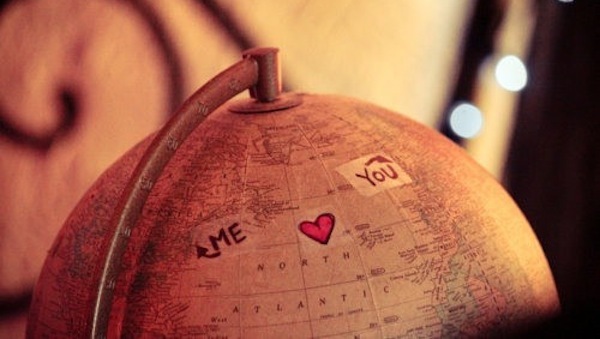 Many people have been in long distance relationships that have failed. Reading about them and their problems is a great way to help you fail proof your relationship. If you want to prevent a long distance relationship break-up then firstly, read these important stats, and secondly, try to avoid the problems mentioned below in this article. This article covers common issues such as; constant fighting, jealousy, getting bored with each other, fear of your partner cheating on you, uncertainties about the future, and how to get past them in order to make your long distance love to work! Jealousy is an emotion that is very difficult to control. Jealousy in a long distance relationship usually comes from being jealous of the company your partner keeps. In a long distance relationship jealousy can come from seeing someone else as a threat to your relationship. Another common cause of jealousy is if one partner lives in a better location or even has a better job than you. The more insecure you are and the lower your self-esteem, the greater the chances are of you being jealous. The best advice is to immediately let your partner know that you feel jealous. The quicker you confront these feelings the quicker you can sort out the situation. By doing this, the feelings of jealousy will not stay bottled up and get worse over time. Your partner will then also be able to try and avoid any situations that could possibly cause these feelings of jealousy. The fear of being cheated on is not an irrational fear, it’s a fear that is quite normal. It’s a fear that can be present in any relationship and even more so in a long distance relationship. The quickest way to combat this fear is by learning to trust. You need to trust your partner, trust that they will not cheat on you and trust yourself and your own judgment. Another good way to try and avoid the fear of being cheated on is to visit each other as much as possible. Seeing each other helps to remind you why you fell in love in the first place. The thrill of waiting to be able to see your loved one and then seeing them after not seeing them for so long, will be worth the wait. Fighting is normal in any relationship but sometimes you need to ask yourself how much fighting is normal? Fights are a problem in long distance relationships. One of the main reasons for fighting is misunderstanding each other. The quickest way to get over fights or a fighting streak is to try look at the issues from a different perspective or a different point of view. Sometimes we get stuck in our ways and stuck with a certain opinion, so much so that we won’t even consider any other options. Relationships are all about compromise. Arguments are usually sorted out by compromising from either or both sides of the argument. Just remember to be fair towards each other and don’t only expect your partner to compromise. Relationships are a two way street and both partners have to work equally hard. In a long distance relationship you talk a lot. You’re always on the phone. You’re always texting. But what happens when you run out of things to say to each other? You need to re-look at your conversation topics. Often couples get stuck in routine. “How was your day?”, “Fine”. “What did you do?”, “Not much”. Stop asking routine questions. Shake things up, tell jokes, play games or have topic talks. Topic talks are where you focus on only talking about specific topics. You each choose one topic that you love and focus on only talking about that during a call. Consider topics such as; hobbies, books, movies or even world history. Being unsure of the future is never a good place to be in life. It’s also not a comfortable place to be in a relationship either. Being unsure of the future causes you to constantly think about the future. You start to consider when you will see each other again? How will your relationship ever grow? Will you ever have children? And these are all normal questions to ask but because distance separates you these questions become even more difficult to answer. So, if you’re looking at making your long distance relationship work you need to always make sure your plans for the future are clearly mapped out and that you always keep thinking of the future. Keep things fresh and different. Try to work through your fights and never let anything bottle up. If you are in a long distance relationship and want to learn more about how to make it work, CHECK THIS OUT!